Sunday is the final day of service for the inaugural year of Trailhead Direct service from Broadway to hiking trails up Mt. Si and Mt. Teneriffe. King County Metro is running a survey to get feedback on the service to help plan the 2019 season. 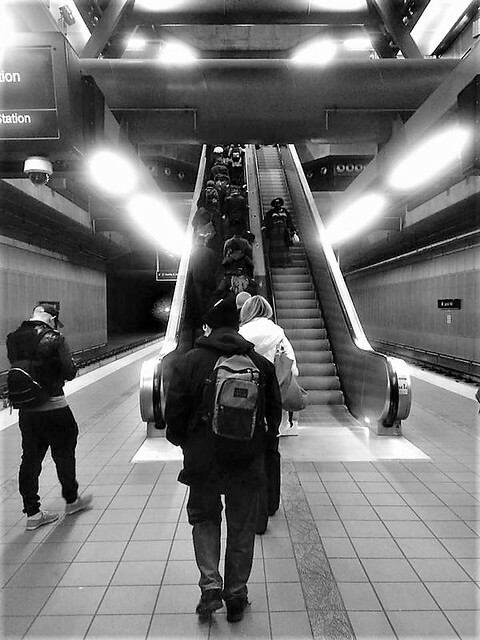 CHS reported here on the addition of service from Capitol Hill Station under the program created to help ease parking problems at the popular trailheads as the region’s population continues to boom. Trailhead Direct includes 19 and 27-seat vans with capacity for two bicycles for each trip. Passengers pay a $2.75 flat fare under the public-private partnership between King County and the Seattle Department of Transportation. The 2018 season was also boosted with sponsor support by REI and Clif Bar. Did you put the new service to use? Where’d you go? Delayed work — including new parking restrictions and expanded bus stops on Capitol Hill — to make the heavily-used but notoriously behind schedule Metro Route 8 line more dependable is expected to be wrapped up this week. Metro has started a new campaign it hopes will help reduce incidents of lewd comments on its buses and increase reporting of sexual misconduct. The push to encourage reporting comes amid a huge increase in reported incidents, according to officials. “Since the #MeToo movement gained widespread attention in October 2017, calls to KCSARC’s Resource Line have increased by more than 50% compared to the previous year,” Metro says. If the complicated pricing of transit zones and peak fares were keeping you from enjoying the services of King County Metro, boy is 2018 going to be a good year for you. The King County Council Monday voted on a new flat pricing for Metro transit fares — $2.75. “The new fare plan eliminates a payment system that fluctuated between time and distance and could cost an adult rider between the ages 19-64 anywhere from $2.50 to $3.25 a ride,” the county said in its announcement. The new adult fare also will not affect the roughly Metro riders who pay ORCA Lift—Metro’s low income fare program— or youth, senior, and disabled fares. The agency says roughly 2/3 of its riders will pay the standard adult fare. The new flat rate goes into effect starting July 2018. King County has agreed on a price for the Washington State Convention Center to acquire the Convention Place Station bus facility, part of the $1.6 billion project to expand the center and a harbinger of the end of Metro’s use of the downtown transit tunnel. The WSCC will pay $161 million for the land over the next 30 or so years — $275 million with interest. More Capitol Hill commuters are traveling by public transportation — and they’re ditching buses in favor of light rail and the First Hill Streetcar in droves. The new numbers come from the Seattle Transit Blog’s analysis of the first release of systemwide ridership data following the opening of Capitol Hill Station, UW Station, and the U-Link restructure that optimized Metro’s lines around the opening of light rail service between downtown and the University of Washington via Broadway. You likely won’t see one regularly crossing Capitol Hill until 2020 but King County Metro is accelerating its efforts to reduce emissions and become a carbon neutral system with a $90 million-plus plan to add more than 100 battery-only electric buses to its fleet.